My name's Darin Walker. I'm with Moreland Properties in Austin, Texas. I'm a certified luxury-home marketing specialist and an accredited buyer representative. I specialize in the downtown, central Austin, and west Austin areas. The types of homes I help my clients find are everything from the entry-level market to waterfront estates, homes with hill-country views or downtown-city views. I'm Greg Mangum with Mangum Builders. We build luxury homes in the Austin market. 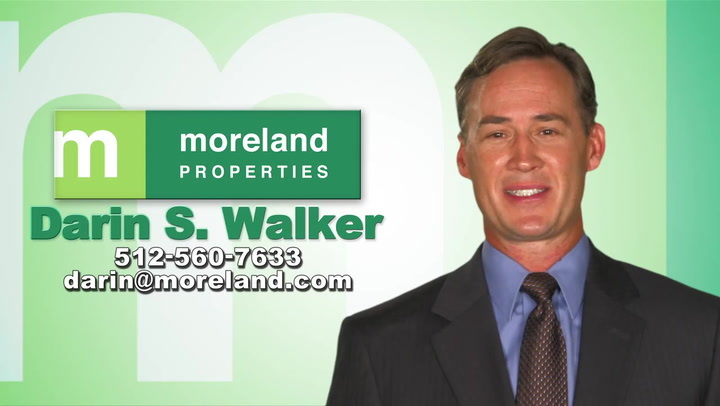 We hired Darin Walker to represent our firm and to market a property in Barton Creek for us. During the process, Darin provided us with collateral materials. He was very professional in the marketing of the home through the contract negotiations and ultimately the close of the home. Darin is a great asset, and we would use Darin again in the sale of any of our homes. The types of clients I work with are everything from families who have lived in Austin as long as I have to executives that are moving here from out of state (relocation experts), even CEOs of major corporations who are hiring vast numbers of people and need a real estate specialist who can help show them the Austin market. Having spent over 40 years of my life living and working throughout the Austin area, I'm able to offer my clients an intimate knowledge of the most coveted neighborhoods, as well as properties that are not on the market. I offer my clients a very client-centered approach where I'm very responsive to their needs, and I offer a very vast business network from my lifelong experience of being here in the Austin area. Working with Darin was ... It was a cut above every other realtor I've ever worked with. Darin is thoughtful. He's thorough. He comes back with multiple recommendations with a lot of good insight that sometimes you wouldn't even come up with yourself. As we went through the process of looking for a home, I don't think anybody we really talked to understood us and understood exactly what we were trying to find as well as Darin, and it's a tribute to both his tenacity as well as his just general hand and finger on the pulse of the Austin real-estate market.